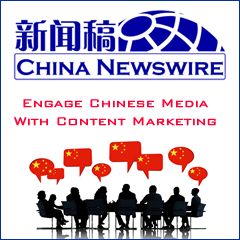 Seven new Chinese resellers are joining CDC Software Corporation's Global Partner Program. ACT Solutions Ltd. will resell CDC's Pivotal CRM to the new markets of jewelry and fashion manufacturing in Hong Kong and southern China, and InfoDNA will resell CDC HRM and Ross ERP to the chemical manufacturing markets in eastern China. JSWorld will resell Ross ERP and CDC HRM to the chemical and pharmaceutical manufacturing markets in western and southern China. Kinggong will resell CDC HRM and CDC Software's e-M-POWER discrete manufacturing solution to the electronic and machine manufacturing markets in Shanghai and Jiangsu province. Net Consultants Ltd. will resell Pivotal CRM to general manufacturing customers in Hong Kong and southern China. Radica System Ltd. plans to bundle Pivotal CRM with their solution to the large enterprise market in Hong Kong. Think Technology Group Ltd. will resell Pivotal CRM primarily to the discrete manufacturing markets in Hong Kong and southern China. Hilton Law, managing director for CDC Software's Global Partner Program in China, stated, “These new partners are expected to help open up new markets for our products and enable us to penetrate further in the one of the world's fastest growing economies."